Welcome to Brookfield Juniors. The club has a thriving junior section with over 240 members, playing and training all year round. We boast a strong coaching team and compete in many internal fun tournaments as well as Leinster League and Cup competitions. All ages and abilities are catered for within the programme. 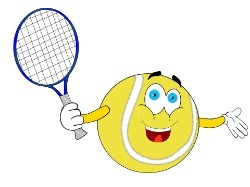 Junior tennis camps are run during Easter and Summer school holidays. Supervised tennis also runs for much of the school summer holidays, providing a fantastic opportunity for children to improve their tennis and make new friends. There is also a regular calendar of social activities for junior members include themed events, family BBQs and “pizza and play” sessions. Click here to view the latest fixtures. Junior membership is currently full. Tennis age is based on a January 1 cut off. Taking U10 as an example, the letter “U” stands for “Under”, so “U10” means “Under 10”. For 2019, to be eligible to play in an U10 event, players must be 9 years or under on the 1 st Jan 2019.